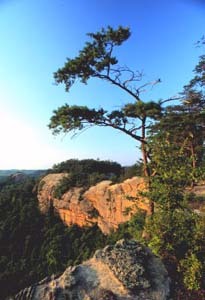 None of the Gorge hikes compare to Auxier Ridge, in my opinion. You can stand in one spot and see Haystack Rock, Double Arch, Raven's Rock and Courthouse Rock, plus sweeping views of the cliffs. Early morning or late afternoon---either provides excellent photo opportunities, not to mention a great 4-mile round-trip workout.